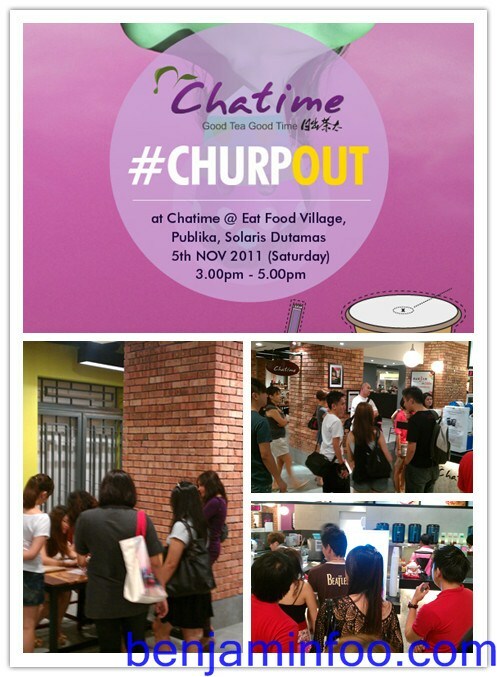 EXCITED for Churpout and teatime with Nuffnang! After registering we were given vouchers to spend on Chatime and the various food stalls in the awesome Eat Food Village, Publika Dutamas. 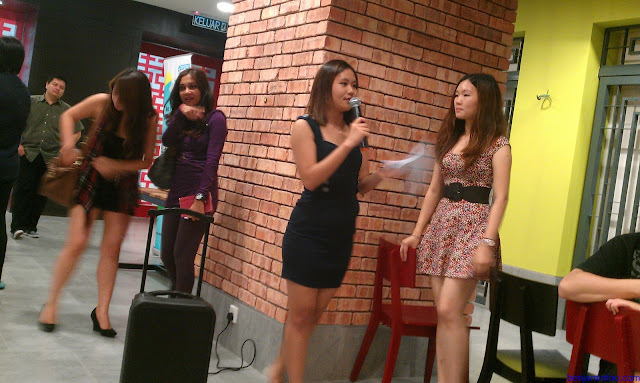 Immediately everyone lined up to get their favourite or rather most expensive Chatime drink haha! 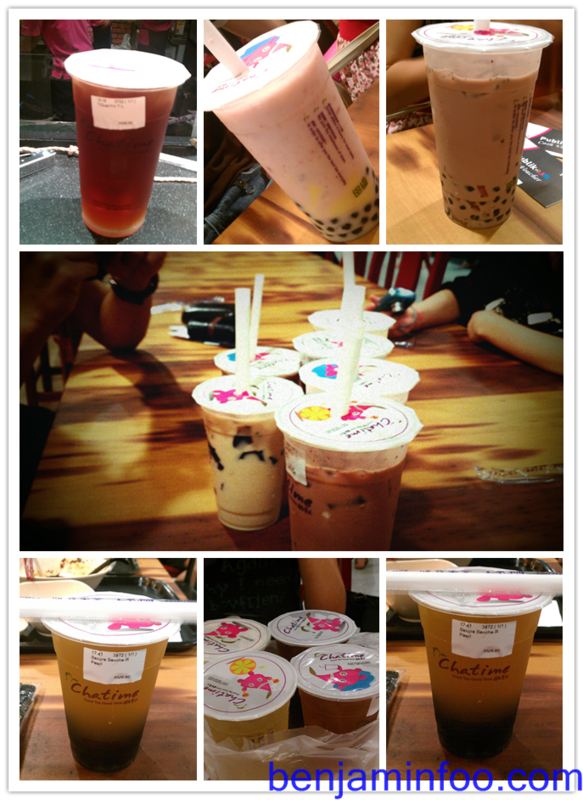 So many different flavours were tested out that day and and i think we went for second or third round as well, it was definitely Chatime overdose! 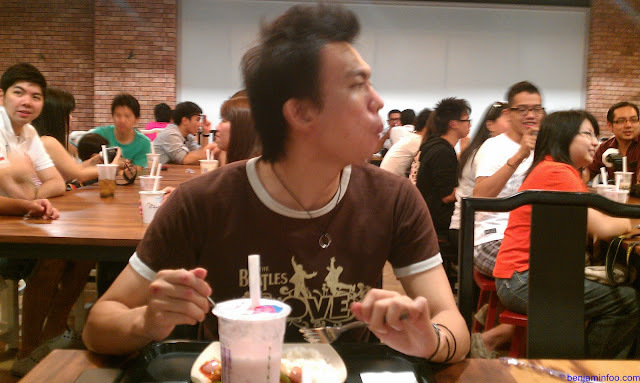 While the Emcee kickstarted the event , our dear friend and epic blogger Mr. Tony was already eating! Our lovely Nuffies and Churpies welcoming everyone and letting us know the agenda. Sneaking in moments to try to capture all your wonderful people! After the introduction they also have a mini game which groups of 4 need to figure out which chatime flavour it belongs to, there are 8 types, and guess what? With Richie on the left, the owner of this Chatime branch! YES! i finally got the Churp plushie! finally my car has a plushie in it! YES! YES! YES! Thanks again to ISAAC, SARAH and JANET! 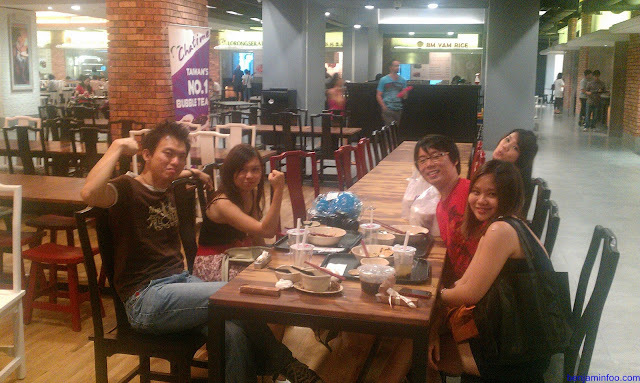 After that we were just mingling and chatting and eating , CHURPING OUT literally if you might say. 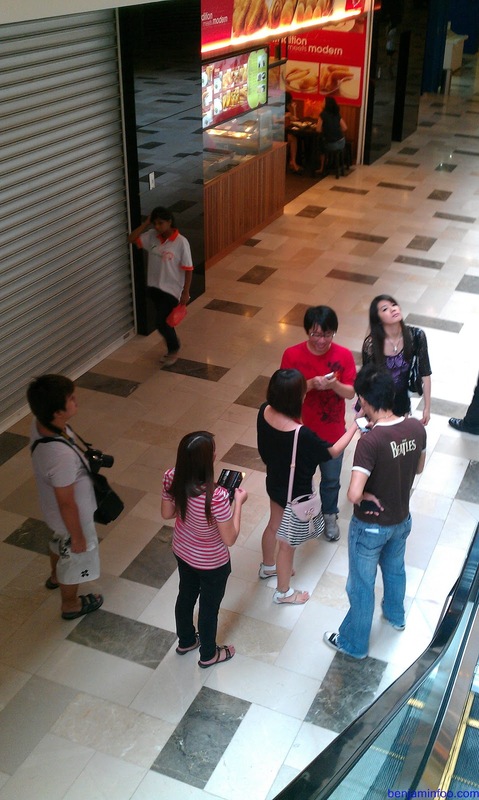 What's a churpout without a epic group picture ei? 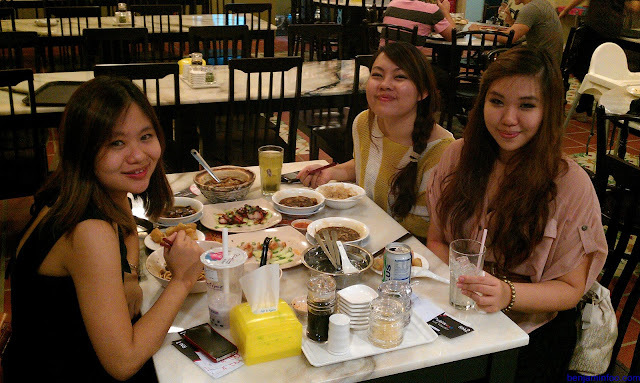 After that we proceeded to order more food and chatted up till about 7pm. The last of us , besides Submerryn who was chilling lovingly with her family at another table. 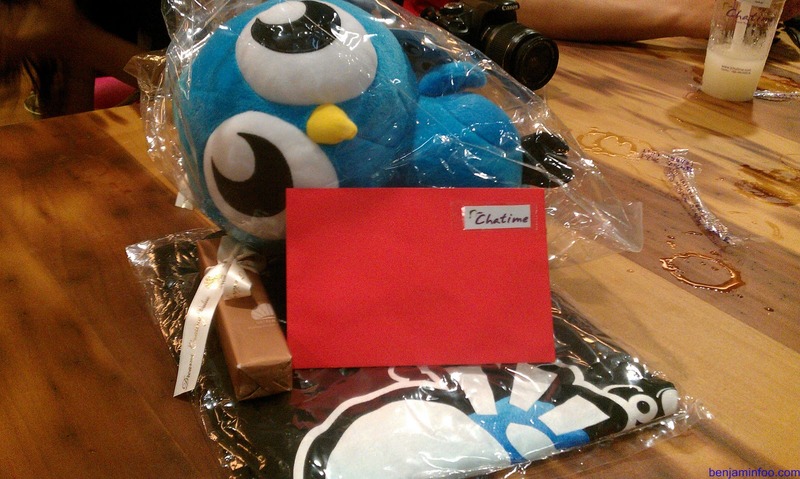 THANKS AGAIN TO NUFFNANG AND CHURPCHURP FOR SUCH AWESOME GOOD TIME!!! 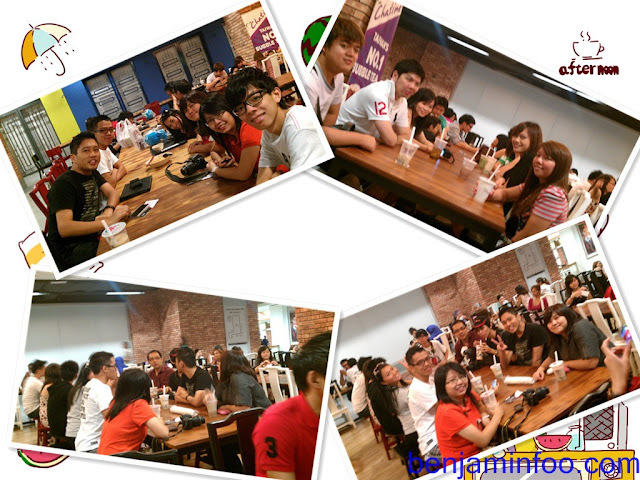 wow.. All having Chatime drinks.. But weird, tony the first one to eat..